Anyone wanting to start a new business in FinTech/payments – digital wallets for example – has to address PCI. Like it not, payment cards are still the dominant form of non-cash payment on the planet. By far. So what if you have a great idea in this amazing world of opportunity, but your skill-set is in payments and innovation, and not IT or cybersecurity. How do you get your service to market, AND play by the rules? Can you do this in time to be ahead of game given the incredibly short timeframe of today’s competitive advantage? Well, you could just self assess, but you are restricting yourself to a maximum of 300,000 transaction annually. But more importantly, would you trust your money to a service provider who self assesses? No, neither would I. However, I’m talking about full Level 1 Service Provider compliance through a reputable QSA (yes, there are some out there). 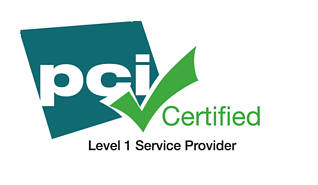 How can you set up the infrastructure, get all the documentation in place, AND get all the way through a PCI DSS Level 1 assessment in 6 months? And if you do, have you really done it properly? The answer is yes, you can, but there are MANY caveats, and if you deviate from these steps you will not get there. I am only interested in helping organisations get compliant properly, I have no interest in adding more crap service providers to the ecosystem. First, you have to completely ignore the PCI DSS. Any plans you make to design both your physical infrastructure and your security program from scratch must be with real security in mind. Never compliance alone. For that, many organisations turn to the ISO 27001 standard. There are others, but try finding affordable consultants who can help you implement them. As long as you realise they are all just frameworks, not step-by-step instructions, then you’re ready to start asking questions. SO WHAT ARE THE STEPS TO COMPLIANCE? Get Help – This should be no surprise. I don’t perform emergency appendectomies, I’m not remotely qualified, why would you try to achieve compliance when that’s not your experience or skill-set. Yes, is can be expensive, but nowhere near as expensive as any of the alternatives. There are some very good consultants out there, do your homework and find the best one for you. Outsource the Infrastructure – Unless you’re an expert in everything from hardened operating systems, to logging and monitoring, to firewall management, you will want to outsource as much of the platform as you possibly can. Unfortunately, finding a single provider who can take on anything more than physical hosting and some networking stuff is still ridiculously difficult. Amazon Web Services (AWS) for example is about as bad as you can get. Unless of course you want a dozen or so independent service providers to manage along with Amazon. You MUST ask the right questions, and this is where your consultant comes into play. S/he will write your RFP, interview providers, and eventually produce a responsibility mapping of services against the PCI DSS. This will match their Attestation of Compliance, as YOU should only do business with L1 PCI compliant service providers. Policies, Standards & Procedures – You have to start somewhere, so you will likely want to buy a Policy Set. Once again, you have to be very careful as there are dozens of options but few will be fit for purpose. In this case, ‘fit for purpose’ means the service must 1) get you through compliance, 2) provide a platform for your unique culture, and 3) be self-sustainable for the long-term. If you buy a Policy Set with ‘PCI’ in the title, you have already failed. Buy one that your consultant can customise on your behalf, and then teach you to manage yourself. Get one that; 1) Is already mapped to both the PCI DSS and your chosen framework (usually ISO 27001), 2) has document management built in (numbering, content standards, assigned coordination etc. ), and 3) is easily distributed to the subject matter experts best placed to maintain them. Hire a Completely Independent QSA – While it may be very tempting to have your consultant take care of all the ‘PCI stuff’, bite the bullet and keep these separate. No, you don’t have to be an expert in this stuff, but if you are relying completely on your consultant you are building in a single source of failure. By all means have your consultant run with the assessment, but be involved. If you don’t, you’ll have no idea what you paid for in the first place. In fact, you may even want to build in some SLAs regarding how much remediation is required from by QSA. There will always be some, but if it involves significant scope creep or capital cost, your consultant has failed you. Remember, you have outsourced almost the entire function of PCI to your platform provider, validation of compliance should be a formality. Of course this is oversimplified, but I’m already way over my self-imposed word limit. However, while I haven’t included any of the inevitable challenges, the process is a simple as security itself, it’s up to you to find someone who can make it simple.